The player that draws the portal tile may play it in lieu of a wake tile or at any time when he is faced with elimination, even on another player's turn. If played on another player's turn, the player will have only two tiles in his hand at the start of his turn, because you do not refill your hand until the end of your turn. When played instead of a wake tile, place the portal tile according to the wake tile rules. The portal does not replace any existing wake tiles. Move all affected ships onto the portal tile. The portal will transport any ship and daikaiju that lands in it to a new location. Each ship is transported separately through the portal in play order, with the active player's ship being transported last, then the daikaiju. Each affected player rolls 2 dice to transport his own ship. Transported ships are placed in the square as identified by the coordinates of the dice per the Placing the Daikaiju rules in the main Tsuro of the Seas" game. If no wake tile exists in that location, the player places a wake tile from his hand and chooses which wake and in which direction his ship will travel. Once the ship is placed it must move to the end of the wake. If a wake tile is already in play within the identified square, the player chooses which wake and in which direction his ship will travel. Once the ship is placed it must move to the end of the wake. A ship may not travel the same wake in the same direction as an opponent's ship but is allowed to travel the same wake in the opposite direction. The active player rolls to transport the daikaiju after all affected ships have been transported. The portal remains on the board for the remainder of the game and transports ships and daikaiju only. 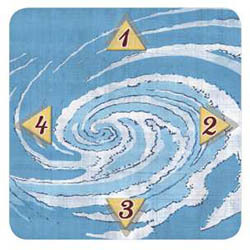 The whirlpool, tsunami tile and the portal may occupy the same square. The portal remains in effect at all times even en "covered", allowing players to escape the dangers of the tsunami and uzushio. Ships will "teleport" out before they encounter either one. There are two tsunami tiles. The one with the gold arrows is shuffled into the daikaiju deck during game set-up. The one with the blue arrows is set aside for later use. The gold tsunami tile can be drawn at anytime during the game, including during set-up. When drawn, place on the game board using the standard daikaiju placement rules. Spin the gold tsunami tile in place and then flip face-up. Locate the number "2" arrow. The tsunami will move that direction. The tsunami's row is considered to be all the squares to the left and right of the tile based on its facing. Thus at placement, the tsunami's "row" is all the squares to the left of the "gold 4" and right of the first "gold 3"in addition to the square the tsunami tile resides on. The blue tsunami tile is placed along the edge of the board that the "gold 2" is facing. It serves as a marker and will identify the direction and strength of the tidal wave. Point the "blue 2" arrow directly at the "gold 2" arrow of the placed tsunami tile. Any time an active player's ship resides in the same row as the tidal wave tile, either due to the player moving their ship or the tidal wave moving on its turn (see below), the player must roll a die and match or beat the number located on the active directional arrow; if he fails, his ship has capsized and is removed from the game. When it is placed the tsunami is always set at 2, so the player in that row must roll 2 or better. The tsunami moves on a different pace than other items in the game. It is moved before the player who placed it begins their NEXT turn as the active player. This is called one game round (when all players have gone once ). Move the yellow tsunami one square toward the blue tsunami marker. Also, rotate the gold tsunami so that the tile now reads "gold 3" pointing at the blue tsunami tile, then rotate the blue tsunami tile marker tile so that both directional arrows are matched. Players in or entering the new tsunami row must now match or beat a die roll of 3 to survive the tidal wave. During the second and third game rounds in which the tsunami is on the board both arrows will be 3s. 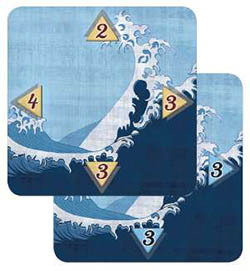 The tsunami will reach its maximum strength of 4 on the fourth round in which it is played and stays at 4 until it leaves the board. The gold arrow tsunami tile moves over existing tiles and does not remove them from the game. Only the player's ships are affected by the tsunami; wake tiles, daikaiju tiles and other optional game tiles remain in play. Players can sail though the square or even end their turn on the square with a tsunami tile. Just move the tsunami tile over in the same row so that it doesn't physically affect any ships on the board. 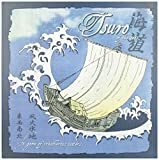 If a player's ship is put into motion by another player's tile and is directed into or through the tsunami row, that player must immediately roll the die and meet or exceed the current strength number of the tsunami otherwise the ship is removed from the game. Once the gold tsunami tile moves off the edge of the board both tsunami tiles are removed from the game (do not place it back in the daikaiju tile pile). 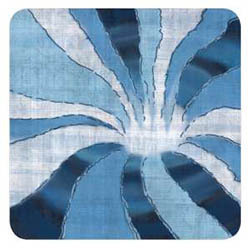 The uzushio is a whirlpool tile that is shuffled into the daikaiju deck during game set-up. The uzushio tile can be drawn at anytime during the game includ- ing during set-up. When drawn, place it on the game board using the standard daikaiju placement rules. The uzushio tile moves when the daikaiju do not move. So, if rolling the dice to move the daikaiju fails to record a 6, 7, or 8 (per the Daikaiju Movement rules in Tsuro of the Seas), the uzushio moves. Roll one die to see what direction the uzushio tile moves by comparing the number to the arrows printed on the tile. Move the tile one square in that direction. If, on the movement roll, the result is a 5 or 6, the uzushio tile does not move. If a wake tile is in the square where the uzushio moves, the wake tile and any ships on that tile are removed from the game. If a daikaiju is in the square, it is also removed from the board. If a daikaiju moves into the whirlpool square on its movement, it is also removed from the board. If the uzushio tile moves off the board it is removed from the game (do not place it back in the daikaiju tile pile). 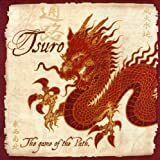 Note: The uzushio and tsunami do not count as daikaiju toward the minimum number of three daikaiju tiles that must be on the board during play as indicated in the Tsuro of the Seas main rules under Placing The Daikaiju and Daikaiju Rules. Taihou are cannon tiles an d they are shuffled into the wake deck during game set-up. When a taihou tile is drawn a player has two options: 1) hold onto the tile as normal in their hand or 2) sh ow all the players and immediately discard it. If the tile is discarded at this time, it is removed from the game and the active player may draw another tile from the wake deck. A player's hand is limited to a maximum o f 2 taihou tiles. Any time during the game when a player's ship is about to be eliminated by a daikaiju he may play his cannon tile to destroy the daikaiju. It doesn't matter if this occurs during daikaiju movement or even on another player's turn. If played on another player's turn, the player will have only two tiles in his hand at the start of his turn, because you do not refill your hand until the end of your turn. Instead of a wake tile, the active player may play a taihou tile in order to remove a daikaiju adjacent to his wake. Once a taihou tile is played, it is removed from the game (do not place it back in the wake deck) and the daikaiju is placed at the bottom of the daikaiju deck.